From time to time, we see a toy that comes out and takes us all by surprise and makes us wonder why we didn’t think of such. How about Rude Goldberg: The Speeding Car Challenge. What do you think about that? 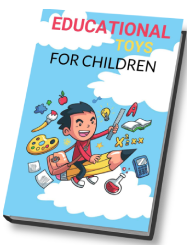 It is a toy that was inspired by a famous American Cartoonist and inventor that is well known for his hilarious and complex contraptions that has been designed to perform small tasks. Can you take a tennis racket, a chicken and some tires to launch a speeding car? Sounds pretty interesting, right? Rube Goldberg thinks you can and has proved that you really can! Looking at the contents that are included in this set, it probably makes you giggle. It’s not every day we see a car, chicken, balloon and nest all in one playset. It makes us wonder what it’s all about. What is Rube Goldberg: The Speeding Car Challenge? Rube Goldberg: The Speeding Car Challenge is a funny playset that really captures the attentions of kids. However, the playset, as funny as it may be, isn’t all about humor – it is also about learning. By playing with this toy, children will learn about STEM-based principles of air pressure and gravity, which is used to launch a car. Build the contraption, test it, and complete the challenge in order to trigger an epic and hilarious chain reaction. You can collect and connect all of the playsets in this collection in order to create your own funny, bigger and more complex inventions. For those of you that are not familiar with Rube Goldberg, they are all about hilarious inventions where some wacky chain reaction is created out of contraptions to complete a challenge. This Rube Goldberg set, and all of the other sets are designed for both boys and girls ages 8 and up. No batteries are required for this set. Yes, being serious while learning is good, but from time to time, we all need to step out of that serious zone, take a breath of fresh air and get some good laughs in. 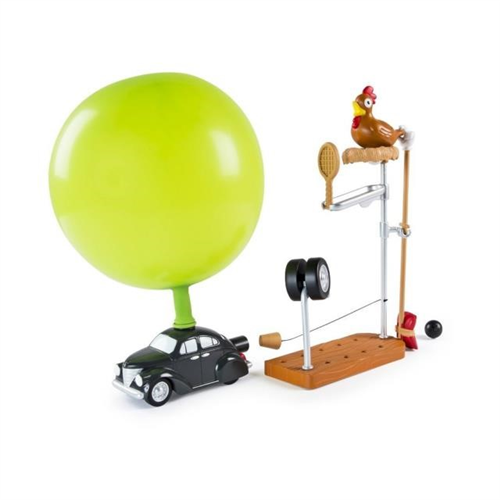 With this Rube Goldberg set, your child will not only get some giggles in, but he/she will also be learning. With Rube Goldberg: The Speeding Car Challenge, it’s all about getting kids to learn, without actually letting them know they’re learning something.